I had thought about running in a mile race that someone we met in the cafe the day before had told me about, but I didn’t actually wake up until 9:30, so it was too late. Betsy made waffles in the morning, and we covered them with brie cheese, apple-cinnamon syrup and blueberry syrup. I worked on the website a bit, finally getting a working link for donations on the “Donate” page, and we did a small load of laundry before leaving Betsy’s house. We got a pretty late start, not leaving until after noon, but the wind, while not strong, was finally in our favor, so we made good time. This was our fastest ride yet, with an average speed of 15.4 miles per hour. The sun stayed out all day too, so I didn’t have any trouble with my feet freezing on me. 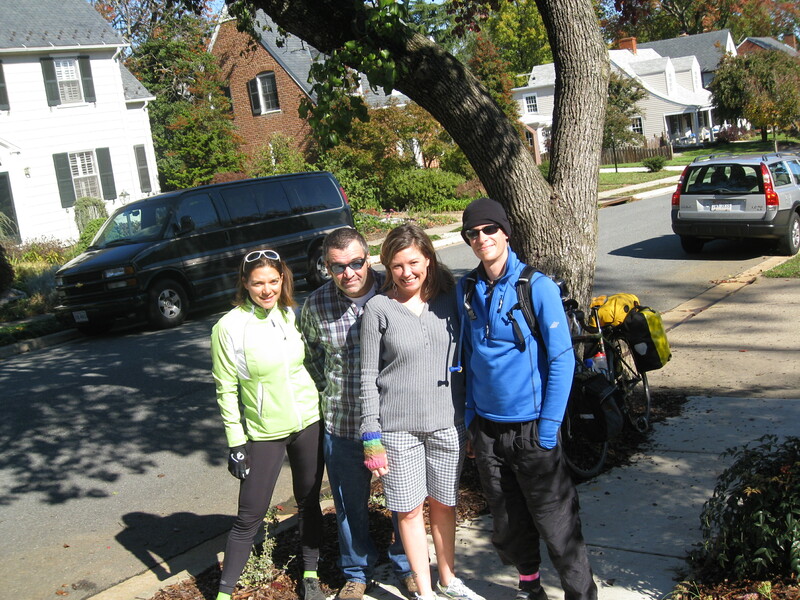 We arrived in Richmond, the city that hosted the first US Open of Cycling in 2007, just after 5pm, and reached Crystal’s house at 5:30. 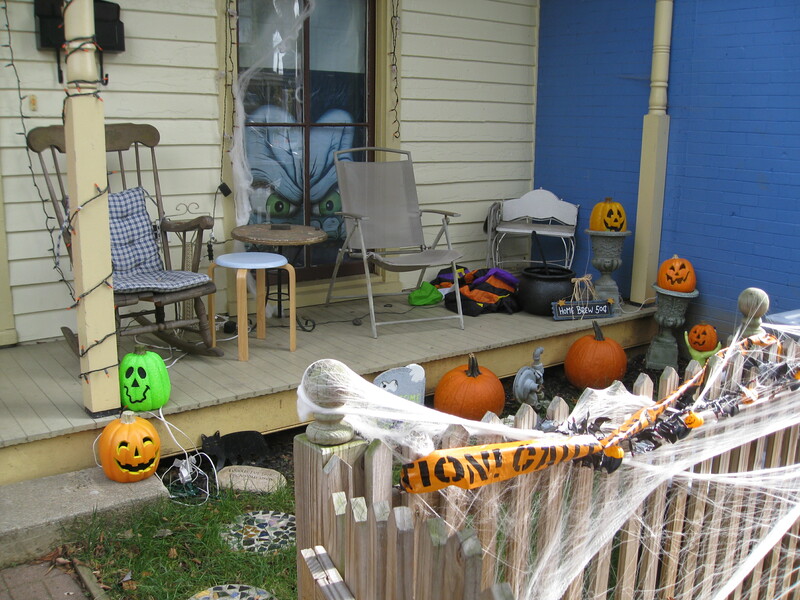 Crystal was sitting outside on her very festive porch that was all decorated for Halloween. We showered there, and then waited for Dennis to get back from mountain biking, since we were actually staying at his dad’s house. We left our bikes at Crystal’s and drove about a mile to Dennis’s dad’s house, where Crystal made us a pizza and we talked and drank wine before going to bed. 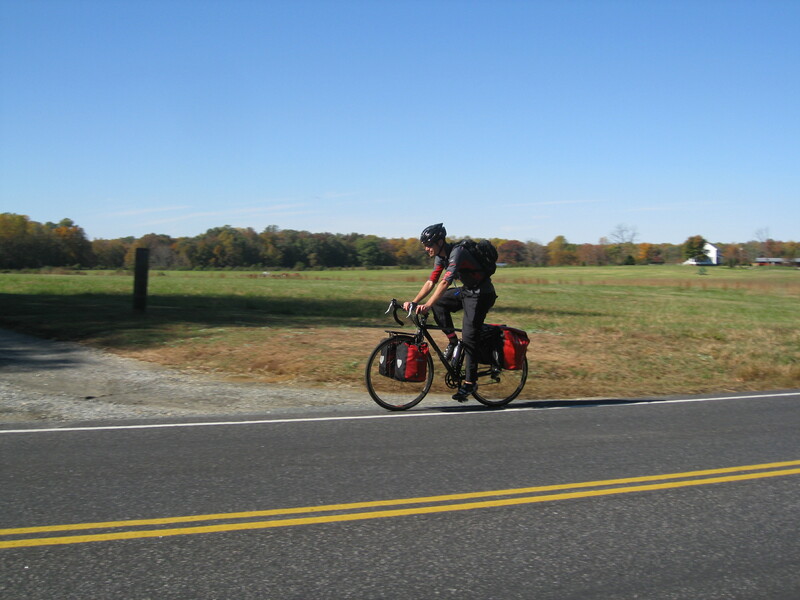 Posted on 30 October 2011, in Bicycle Touring, Providence to New Orleans. Bookmark the permalink. Leave a comment.